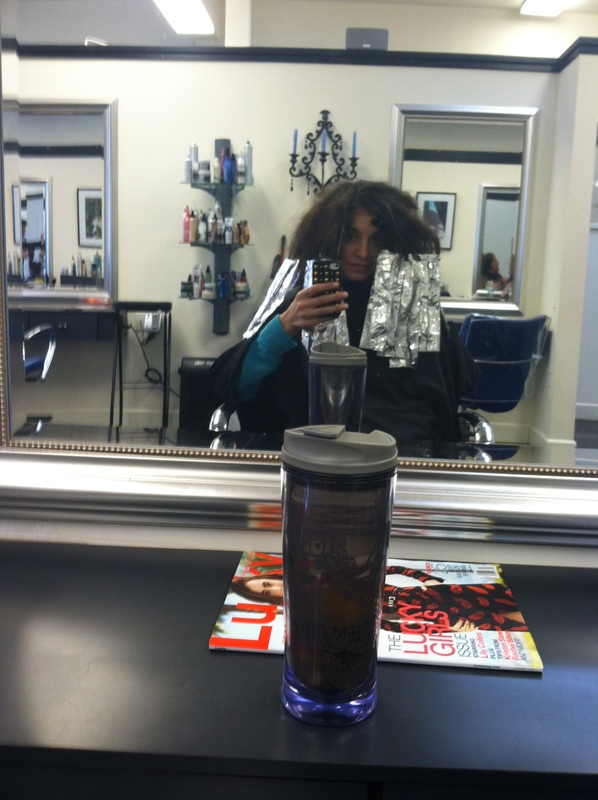 I write to you today following a five hour hair appointment. You heard correctly: five hours. Did I get my head shaved and then all of my hair replaced by an elaborate weave? Nope. I just have a fantastically meticulous hairstylist whose technique for the perfect ombre is a bit, well, time-consuming. My scalp does smart a bit, but I insist that it’s worth it. I, of course, also needed a little something to keep me occupied throughout the whole, somewhat undignified process, so brace yourself for some embarrassing photos. 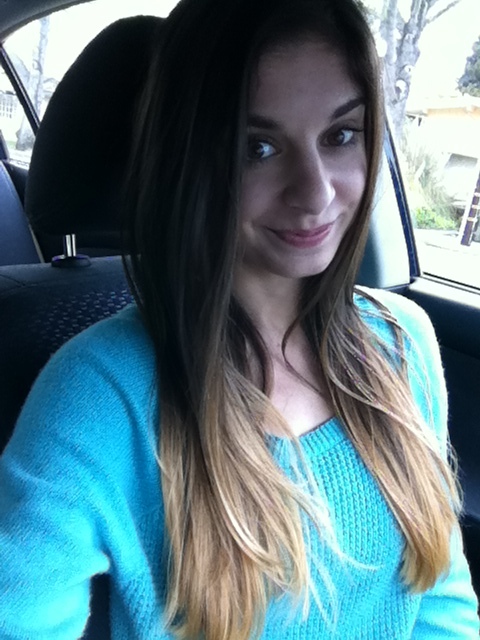 There are people who will argue that the ombre trend is so last year, but I love the way my hair looks regardless. It may have been a pervasive trend, to the point that L’Oreal now offers an at-home ombre in a box, yet I would like to think that I would rock the ombre despite its popular status. Sure, there are entire tumblr accounts dedicated to it and perhaps thousands of pictures available on Google image search, when done well, I believe the perfect ombre should look natural and sun-kissed. Of course, you can make it your own however you like; some people choose fun colors or prefer a stark contrast, with almost white tips. It makes me feel undoubtedly youthful, and even after a year, I’m still getting compliments. In other words, it’s my cup of tea. This is saying something, considering I’ve worn pretty much the same hairstyle for decades at a time. The one downfall of the ombre is oddly enough the same thing that makes it so accessible: having color concentrated at the ends of your hair makes it decisively low-maintenance, and should you get bored, chop away! 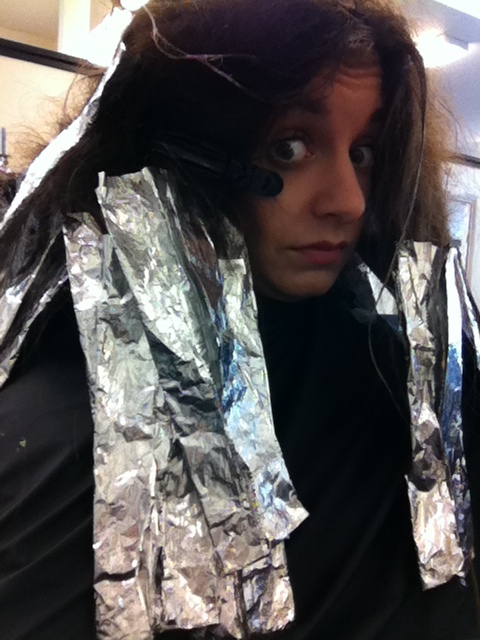 My problem was that I liked it so much, I was reluctant to part with even an inch of my hair. Yet following the dry air, chlorinated pools, and constant heat-styling that is Las Vegas, I had a hard time even running my fingers through my hair. The ends were so straw-like, even the best deep treatment couldn’t revive them. So, despite enjoying all the length, I knew all of the fried bits had to go. 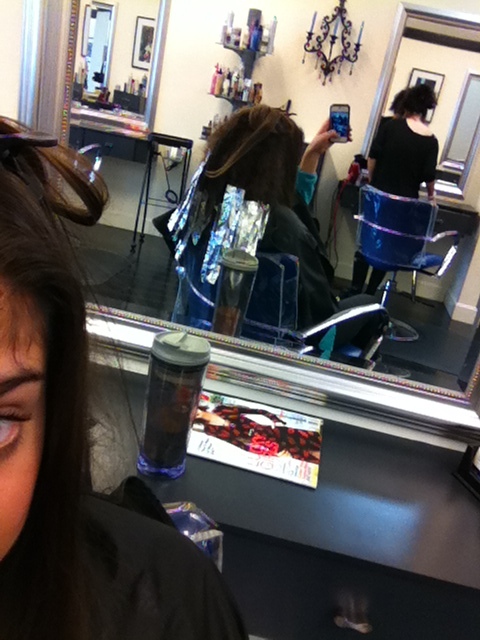 I called my lovely hairstylist, Lynette, and was in the chair before I knew it. I’ve documented the ridiculous back-combing that ensued, for both your and my amusement. I know I look a little trepidatious. It’s all the teasing that makes it look so natural, I swear. My helmet o’hair, as I affectionately like to call it. I have a clip stabbing me in the face, but that’s pretty much what is allowing me to breathe. The fun part is that when we’re done with the color, all of the helmet must be detangled and combed through. Aided by half a bottle of conditioner, of course. Random streaks of bleach in my hair. 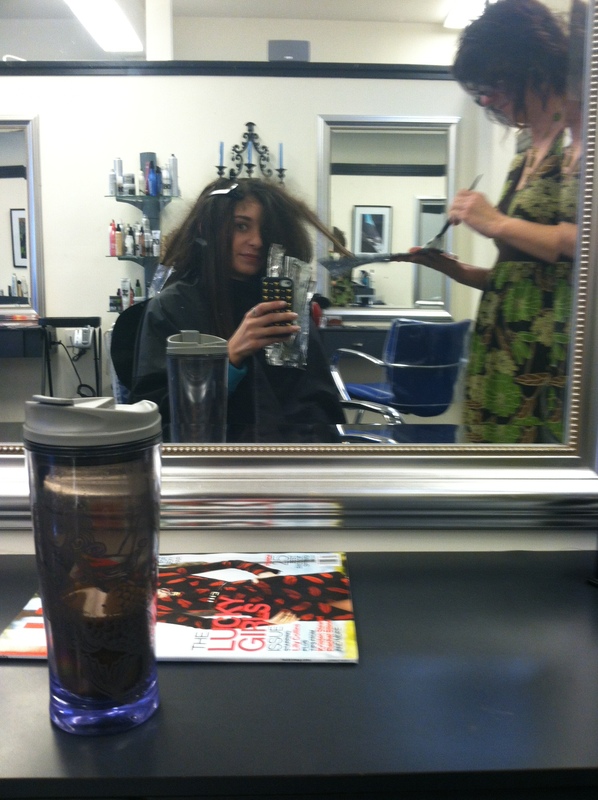 “I’ll try not to get this in your eye, because it will make you go blind!” A little bit of sincere hairstylist humor. A good look, no? The end result! Worth every penny and every minute, in my humble opinion. Am sort-of blonde again! What do you think? Life is short, do fun things with your hair. And, if anyone asks, the sunlight made my hair this way.